Yey! 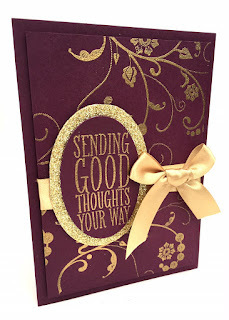 Welcome to a new monthly blog hop by our team of Stampin' Up! demonstrators. 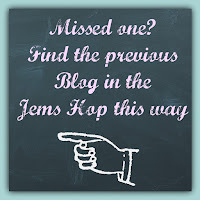 You might have hopped here from Sam's blog - in which case - Hello! I'm Kylie! This month's theme is 'Retiring Products'. Earlier this month when the retirement list was published (the list of all the stamps and accessories that won't be in the next catalogue) I piled up all my stamps that will retire and I pulled out a few that I'm quite attached to - I want to get some more use out of them before deciding whether or not to sell them on! 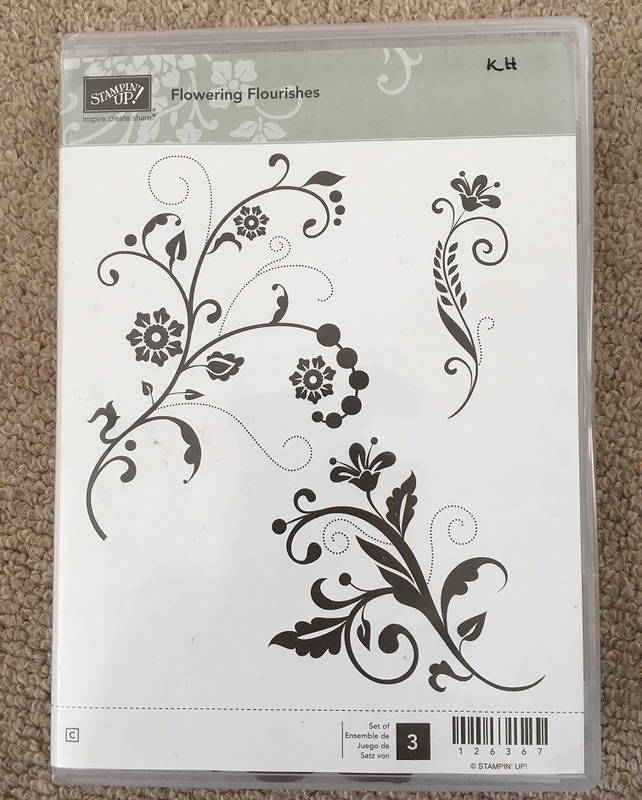 Flowering Flourishes was one such stamp set. I love this set because it creates the perfect, simple but very effective backgrounds. 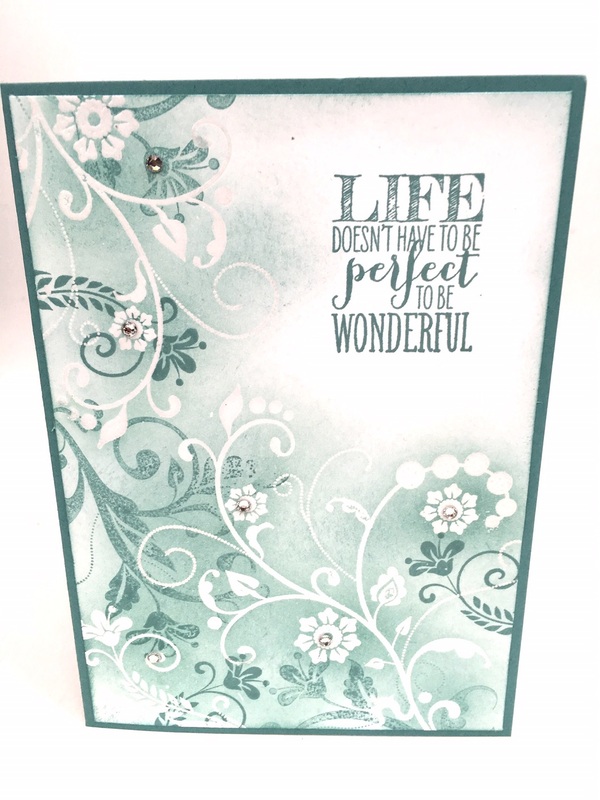 Add a sentiment and you have a gorgeous card in minutes! It's a favourite of mine for wedding cards and invitations too. 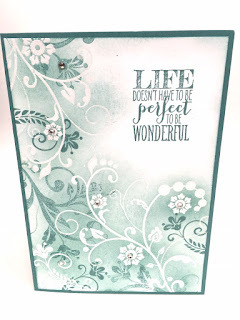 Today I want to show you three cards using Flowering Flourishes to create different backgrounds. Please note this stamp set has already sold out in all formats - however I will be reluctantly parting with mine in my preloved stamp sale on 5th June - please see my events page for details! 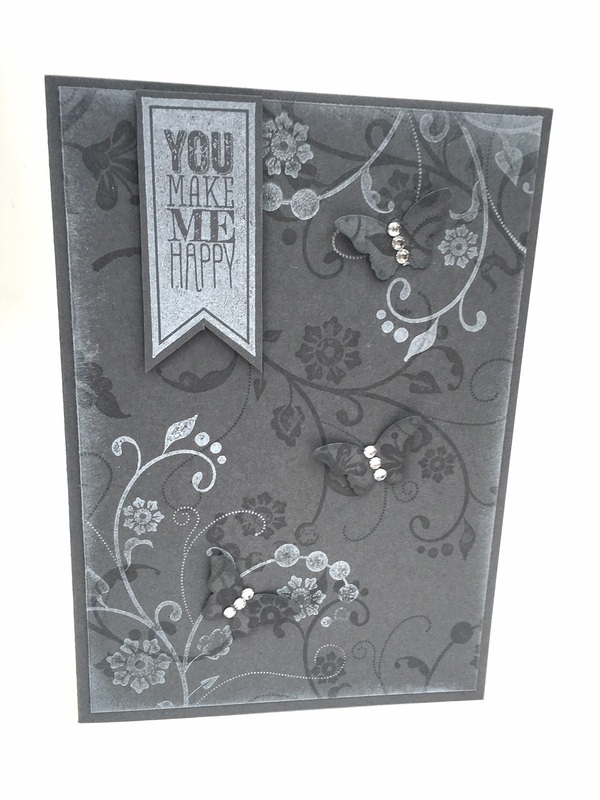 The first card is simply stamped in basic grey and white craft ink on a basic grey card base. The sentiment is from another retiring stamp set 'Perfect Pennants' stamped in white craft ink. I've added some butterflies which I had punched from scraps of card that I had practised my stamping on! The addition of Rhinestones gives it an elegant finish! For my second card I have heat embossed the background with clear embossing powder then sponged over the top with Lost Lagoon ink (One of the retiring 2014-16 in-colours) and more stamping over the top with Lost Lagoon and another Perfect Pennants sentiment. Another heat embossed card for number three - this time gold embossing powder over Blackberry Bliss (this colour I'll miss a lot!) which I think looks quite classy and luxurious! Hopefully someone I know will buy it off me so I can borrow it back occasionally! Haha. 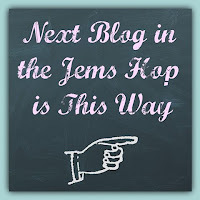 Now it's time to click the NEXT BLOG button below to visit Julie's blog - the next one in the Jems Blog Hop, but I hope to see you back here soon! 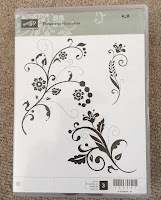 Labels: Blackberry Bliss, Blog Hop, Demonstrators, Embossing Powder, Flowering Flourishes, Lost Lagoon, Perfect Pennants, Retiring, Stampin' Up! I love the gold embossing especially on the blackberry bliss card! Thanks Sarah, was going to do gold on black but this works even better! Ooh these are stunning! I love them all, but the gold on blackberry bliss is exceptional. Very kind Allie, I love embossing! Gorgeous- basic grey and white craft ink looks very striking! Love your use of the stamp set, in fact can't choose my favourite- they're beautiful. I'm really going to miss it and can't bring myself to put it in the "to be gone" pile yet! very classy - this is one of my favourite sets too. One of my ladies has already earmarked it - which is a shame, because i wouldn't have minded it not selling... ! Thanks for sharing - I love your colour combos!